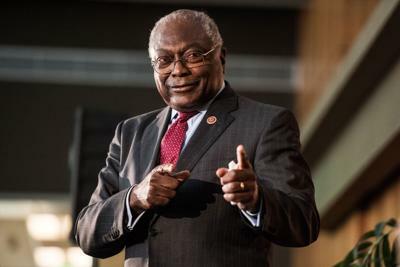 South Carolina Congressional Democrat Jim Clyburn, S.C. 6th, is calling for an end to the government shutdown and said it's unfair to federal workers in the state. As House Majority Whip, Clyburn said it's been frustrating debating the border wall with the President for more than a year. “We give him another $1.6 billion for his wall, and he rejected. And, a year or so ago, we gave him $25 billion in exchange for taking care of the DREAMERs, he rejected that,” Clyburn said. As the partial government shutdown is in its 25th day, Clyburn said he's frustrated for federal workers like one federal prison employee in Hampton County. “She has three children, she's a single mom. And, she's going to work every day trying to protect society, against, in many instances, hardened criminals. But, she's not being paid. There's something about that, that's not right,” Clyburn said. “We're not going to end this fight until we get more border security, and that's not an unreasonable request,” Graham said at the event. Majority Whip Clyburn said Democrats support border security, but not the President's border wall. And when it came to the shutdown ending, Clyburn was not optimistic. “I live by our state's motto 'As I breathe, I hope.' So, I am hopeful something can be done and done quickly. Do I see it? No, I don't see it at the moment,” Clyburn said.